InventaRio was nominated for the “15th Latin Grammy Awards” in the category “Best MPB Album” with the CD “InventaRio incontra Ivan Lins”. 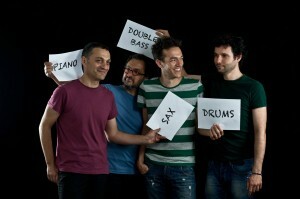 The group is a collaboration between Italian and Brazilian artists who come from different music worlds: songwriting, jazz, bossanova, rock, and cross-over. InventaRio has released three albums with prestigious labels Blue Note, EMI, and Warner. 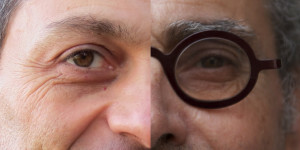 Ferruccio and Giovanni recorded together four albums: “InventaRio”, Latin Grammy awarded “InventaRio incontra Ivan Lins”, jazz trio album “Météores”, plus a participation by the double bassist to Giovanni’s quartet album “Daydreamin’”. Having started playing jazz together, the two musicians share a deep musical empathy and a common strong sense for melody. Daniele di Bonaventura and Giovanni Ceccarelli musically meet in 2013 creating together this original duo project. In 2015 they release the album “Mare Calmo”, a CD plus DVD presenting a repertoire of own compositions. Their upcoming album is a tribute to Tom Jobim featuring Ivan Lins, Jaques Morelenbaum, and Camille Bertault. The duo has performed all over Europe and abroad. This project brings together two musicians who have been playing together for twenty years. 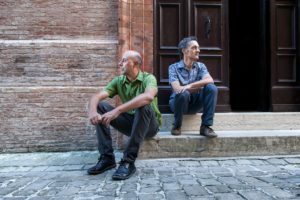 Both experienced artists in performances involving different forms of expressions, Allulli and Ceccarelli have been performing a live soundtrack to silent movie “Cenere” in Italy, Lebanon, Portugal, and India. 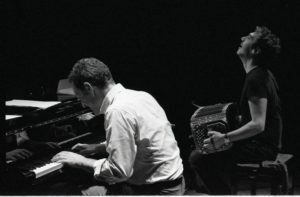 Giovanni Ceccarelli’s trio album “Météores”, was awarded with the “Sélection FIP”, “Sélection écouters”, and “Sélection HMCH”. This trio gathers three musicians whose close listening and interplay are some of their main features. 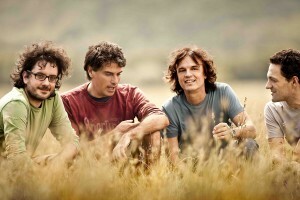 The trio proposes a repertoire of original compositions and interpretations of the great Brazilian songbook. Giovanni Ceccarelli brings in this solo performance his own entire music world. 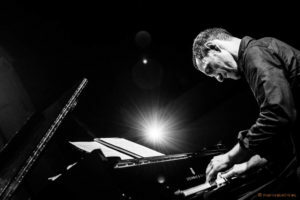 He has recorded in solo for his albums “Météores”, “Mare Calmo”, and his upcoming Jobim tribute. 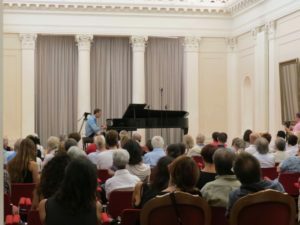 Ceccarelli has given concerts in solo in Italy, Switzerland, and France. The Concerts for Syria are for the benefit of Life4Syria, an association giving humanitarian relief to the civil population inside of Syria. At each concert Giovanni plays in solo, also inviting on stage a guest artist. Whenever possible, a member of Life4Syria opens the event by talking to the audience about the dramatic situation in Syria and the association’s humanitarian actions. 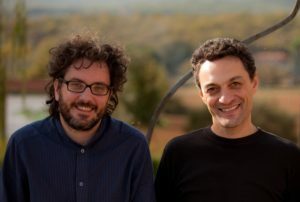 Blas Gimeno and Giovanni Ceccarelli have been collaborating since 2008, making original videos featuring Gimeno’s visual concepts and Ceccarelli’s music. 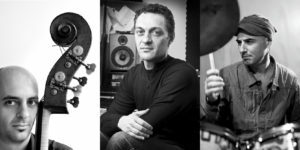 Ceccarelli currently takes part in the following projects: Mauro Gargano “Nuages”, Animantiga with Stéphane Casalta and the late Roberta Alloisio, Claudia Carvalho and Piero Delle Monache Quartet, Federica Altieri “Roma Patria Comune”, Piero Delle Monache Quartet. Photo credits: Luca Quaia, Angelo Trani, Carlo Pieroni, Emilia De Leonardis, Barbara Rigon, Mario Sabatini, Vanessa Van Renterghem, Blas Gimeno, Stefano Schirato.